A Chinese Long March 3B rocket delivered a new-generation tracking and data relay satellite to orbit Sunday to provide communications support for the country’s future human spaceflight missions and space station. 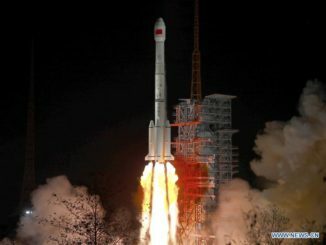 A Chinese television broadcasting satellite lifted off Saturday aboard a Long March 3B booster, the 300th orbital launch by the country’s Long March rocket family since 1970. 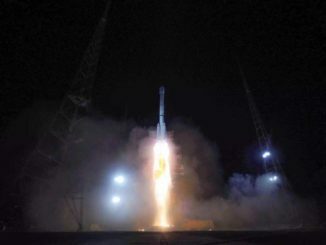 A Chinese communications satellite heading for geostationary orbit more than 22,000 miles over the equator lifted off Thursday from the Xichang space base in southwestern China aboard a Long March 3B rocket on the first space launch of 2019. 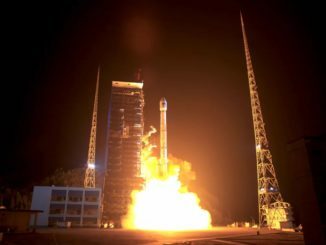 China’s space program is sprinting toward the end of the year by extending the country’s record-breaking launch rate, with two more space missions lifting off in the last week carrying a pathfinder for a planned constellation of Internet satellites and a mysterious payload heading for geostationary orbit. 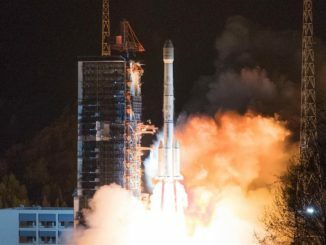 At least one more Long March rocket is set to lift off Saturday to close out 2018. 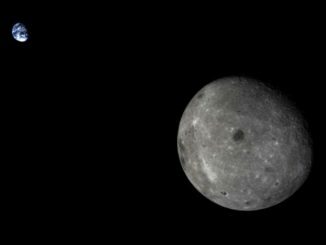 A robotic lander and rover lifted off Friday (U.S. time) from China’s Xichang space center, kicking off a journey that will culminate in an attempt in early January to touch down on the far side of the moon for the first time. 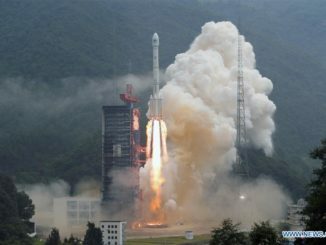 Two more Beidou navigation satellites launched from China on Sunday, ending a record run of 18 satellite deployments this year for the Chinese alternative to GPS and placing the program on the cusp of expanding to full-time coverage over most of Asia, Africa and Europe. 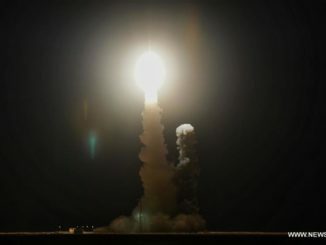 China chalked up another launch Thursday with the on-target delivery of a Beidou navigation satellite destined for an operating post in geostationary orbit more than 22,000 miles over the equator. 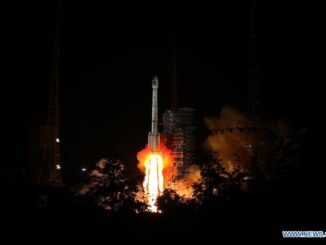 A Long March 3B rocket carried two more Beidou navigation satellites into orbit Monday, the 14th and 15th Chinese navigation spacecraft launched this year. 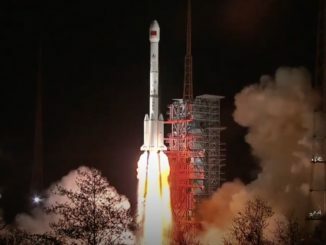 Another successful launch Wednesday carried two more Beidou satellites into orbit, continuing a string of missions to push China’s independent navigation network closer to global coverage and adding international search-and-rescue support to the program’s portfolio. 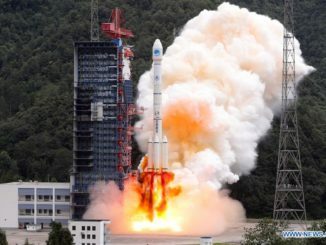 Two navigation satellites joined China’s growing Beidou network with a successful rocket flight Friday that set a new record for the most Chinese space launches in a year.